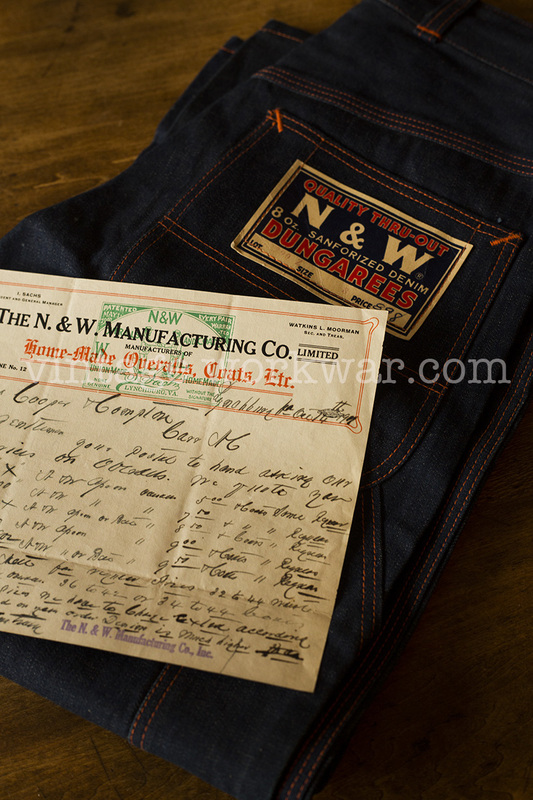 vintage workwear: THE N.& W. MANUFACTURING CO. Manufacturers of Union Made Overalls, Coats, Dungarees, Etc. Does that invoice actually say "home made overalls?" I also note upon enlarging the photo that they were in Lynchburg, Virginia, which is where my mother-in-law is from. I also wonder if the name "N & W" was chosen because of the name of the railroad in Virginia, Norfolk & Western?